Today marks the end of week one of three weeks of fun and learning with the ESD 123 Migrant Consortium’s first-ever kids summer program. 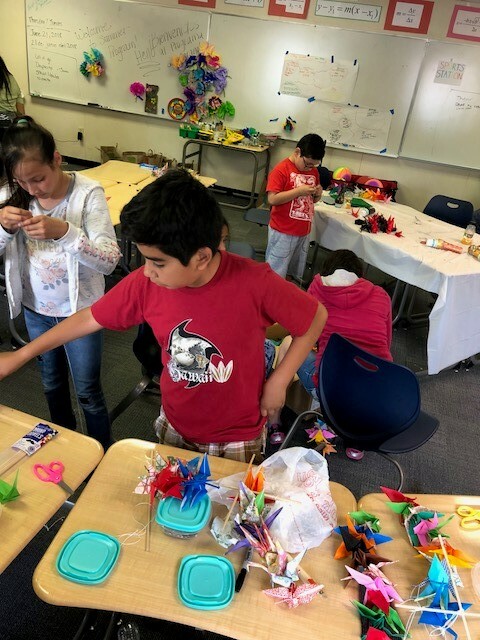 Third, fourth, and fifth graders enrolled in the migrant program in Walla Walla School District will engage in activities and field trips centered around art, culture, and math through June 18-29 at Walla Walla High School. The only consortium of its kind in the state, the Migrant Consortium is a partnership between ESD 123 and five school districts: Walla Walla, Columbia-Burbank, Prescott, College Place, and Finley. To qualify, students must have moved across district boundaries in order for themselves or their families to engage in agricultural or fishery work within the last three years. The consortium offers wrap-around services to support and provide equal access to these migrant students who, due to their mobile lifestyle, often miss instructional time and face unique academic barriers. This is the first year the consortium has been able to offer a summer program for its younger students, an idea which came from families wanting to see more services for their elementary aged children. According to Lupe Mota, Migrant Education Program Administrator, the program also provides an opportunity to help address the huge need in math, as well as allow students to explore their interests through arts and culture. Kids in the summer program will create art projects, explore area history through field trips to places like museums and dams, and participate in games and activities to engage them in math. At the end, their families are invited to come see what their kids have been working on and admire their art during family night. While the summer program is only available to students in the Walla Walla School District this year, Migrant Consortium services for other districts will continue in other forms over the summer. Migrant Student & Family Advocate Viviana Magallon will be conducting home visits for families of students going into kindergarten or high school, to offer support during these transitional periods and give families educational games and resources to encourage at-home learning. ESD 123 is proud to see the Migrant Education Program and Migrant Consortium adapt and grow to meet the needs of these students and their families, furthering our mission of providing equal opportunities for all students.